Let's ensure Boulder grows in a vibrant, livable & connected way. BOULDER, Colo. — The small city of Boulder, home to the University of Colorado’s flagship campus, has a booming local economy and a pleasantly compact downtown with mountain views. Not surprisingly, a lot of people want to move here. Something else is also not surprising: Many of the people who already live in Boulder would prefer that the newcomers settle somewhere else. “The quality of the experience of being in Boulder, part of it has to do with being able to go to this meadow and it isn’t just littered with human beings,” said Steve Pomerance, a former city councilman who moved here from Connecticut in the 1960s. All of Boulder’s charms are under threat, Mr. Pomerance said as he concluded an hourlong tour. Rush-hour traffic has become horrendous. Quaint, two-story storefronts are being dwarfed by glass and steel. Cars park along the road to the meadow. But a growing body of economic literature suggests that anti-growth sentiment, when multiplied across countless unheralded local development battles, is a major factor in creating a stagnant and less equal American economy. It has even to some extent changed how Americans of different incomes view opportunity. Unlike past decades, when people of different socioeconomic backgrounds tended to move to similar areas, today, less-skilled workers often go where jobs are scarcer but housing is cheap, instead of heading to places with the most promising job opportunities, according to research by Daniel Shoag, a professor of public policy at Harvard, and Peter Ganong, also of Harvard. One reason they’re not migrating to places with better job prospects is that rich cities like San Francisco and Seattle have gotten so expensive that working-class people cannot afford to move there. Even if they could, there would not be much point, since whatever they gained in pay would be swallowed up by rent. In Boulder, for instance, the median home price has risen 60 percent over the last five years, to $648,200. Today, someone who makes the typical Boulder salary would have to put about 40 percent their monthly income toward payments on a new mortgage or about half toward rent, according to Zillow. Zoning restrictions have been around for decades but really took off during the 1960s, when the combination of inner-city race riots and “white flight” from cities led to heavily zoned suburbs. They have gotten more restrictive over time, contributing to a jump in home prices that has been a bonanza for anyone who bought early in places like Boulder, San Francisco and New York City. But for latecomers, the cost of renting an apartment or buying a home has become prohibitive. In response, a group of politicians, including Gov. Jerry Brown of California and President Obama, are joining with developers in trying to get cities to streamline many of the local zoning laws that, they say, make homes more expensive and hold too many newcomers at bay. So far, the biggest solution offered comes out of California, where Governor Brown has proposed a law to speed up housing development by making it harder for cities to saddle developers with open-ended design, permit and environmental reviews. The Massachusetts State Senate passed similar reforms. And President Obama has taken a more soft-touch approach, proposing $300 million in grants to prod local governments to simplify their building regulations. Mr. Brown’s proposal has inflamed local politicians, environmentalists and community groups, who see it as state overreach into how they regulate development. But it has drawn broad support from developers, not surprisingly, as well as a number of business leaders, including many from the technology industry. 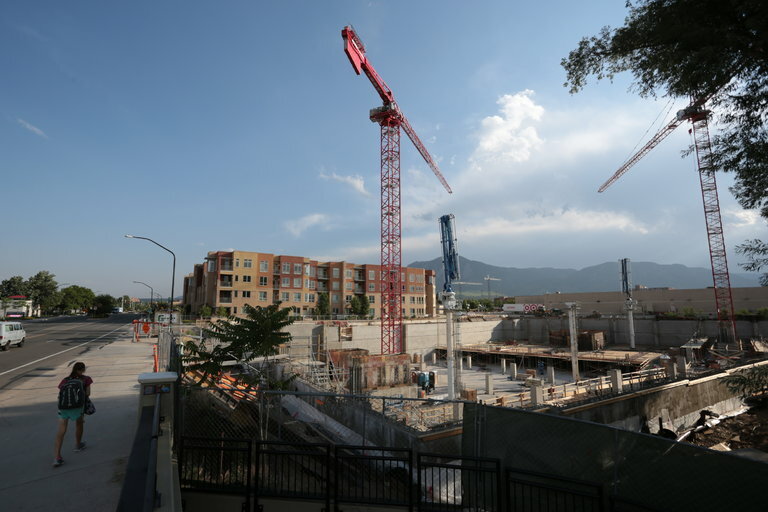 To understand how a bunch of little growth laws make their way into existence, consider how well Boulder is doing — and why it has made people wary of promoting local growth. The city, about a 45-minute drive from Denver, is surrounded by postcard views of the Rockies. The list of yuppie-friendly amenities includes streets full of bike lanes and a walkable downtown full of bars, restaurants and marijuana shops. It has the charms of a resort town with the bonus that, unlike a resort town, it has more than ski lift and bartending jobs. The result is a virtuous economic cycle in which the university churns out smart people, the smart people attract employers, and the amenities make everyone want to stay. Twitter is expanding its offices downtown. A few miles away, a big hole full of construction equipment marks a new Google campus that will allow the company to expand its Boulder work force to 1,500 from 400. Looking to slow the pace of development, last year a citizens’ group called Livable Boulder — Mr. Pomerance was involved in the effort — pushed a pair of local ballot measures that would have increased fees on new development and given neighborhood groups a vote on zoning changes in their area. Voters shot the measures down, but development is almost certain to remain the city’s most contentious issue.